You may be thinking, wait? What? Christmas? But, I’m telling you, it will be here before you know it! 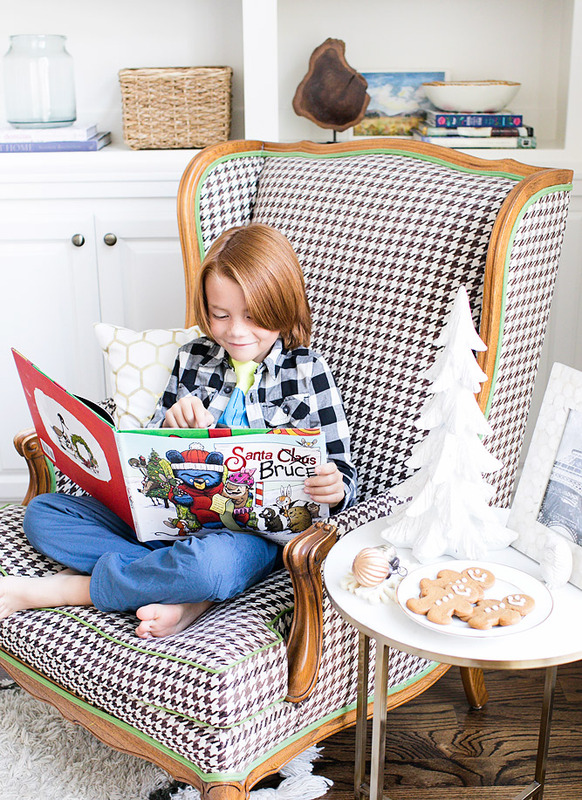 We are back partnering with Disney Book Group on this sponsored post to introduce you to their newly released book, Santa Bruce by Ryan T. Higgins! 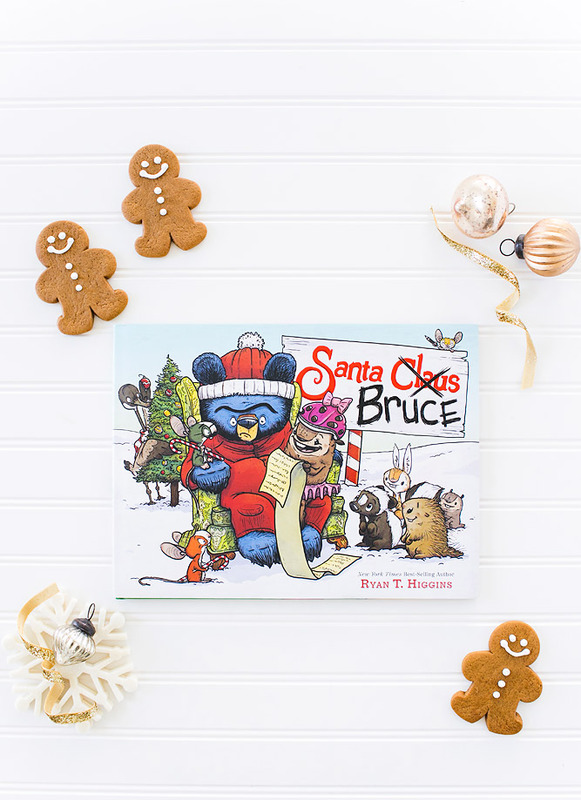 This adorable book is about a bit of a grumpy bear named Bruce who gets mistaken for Santa Claus by his forest neighbors. But, that doesn’t stop the whole forest from lining up to give him their Christmas wishes when he becomes the victim of mistaken identity. 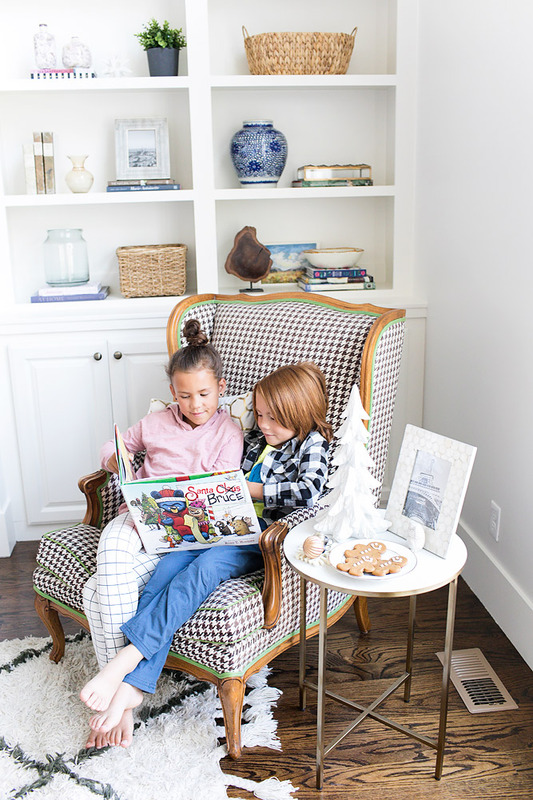 It was fun to see my kids cuddled up to read about poor Santa Bruce who just can’t catch a break! 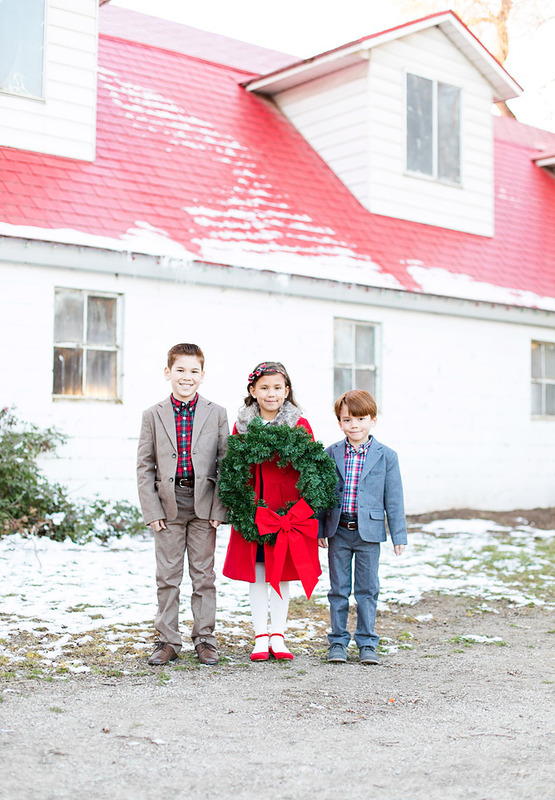 And, now of course my kids have Christmas on their minds and are all ready with their wishlists for Santa in September, ha! Like I said, it will be here before we know it! 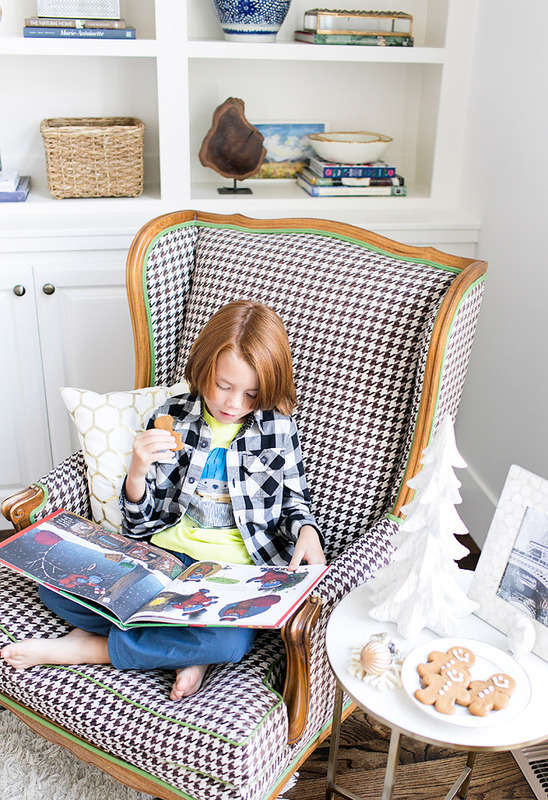 One thing I do love the most about the upcoming season is the Holiday traditions! 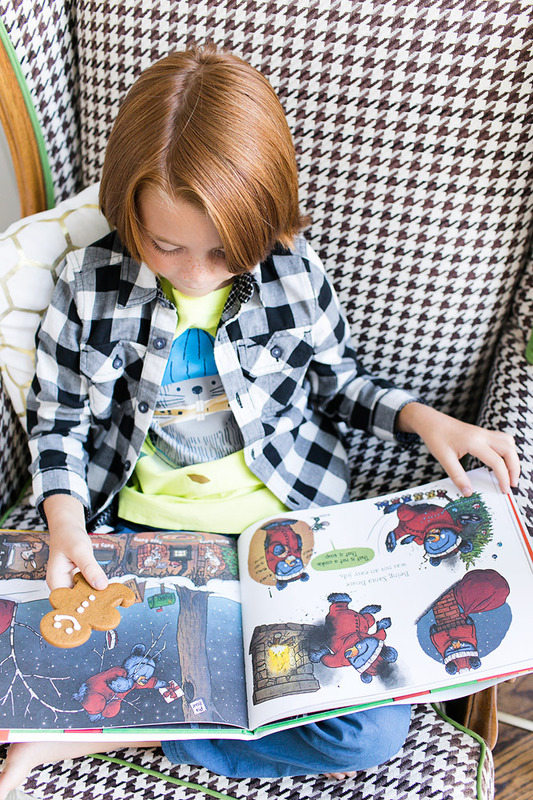 We love to bake treats, and hand them out to friends and neighbors spreading holiday cheer! The kids of course, always leave a plate out for Santa Claus, making sure to stay on the nice list. 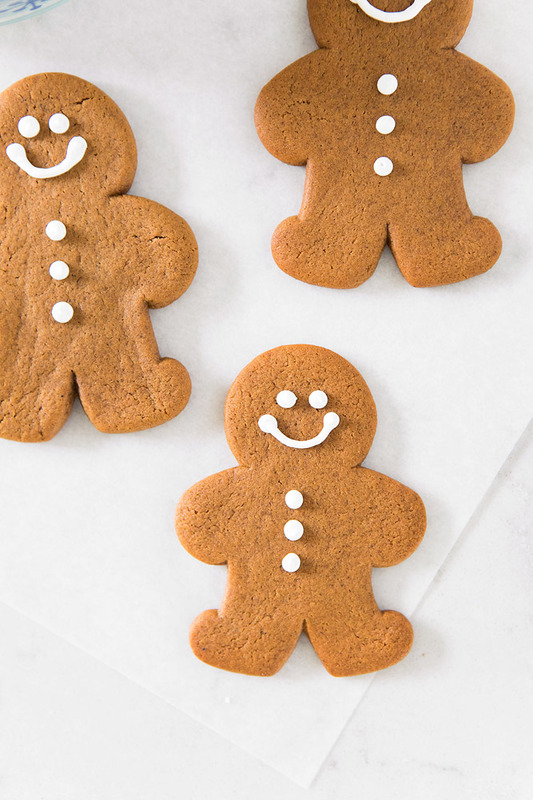 I’ve been working on perfecting my gingerbread cookie recipe over the past year, and I think I’ve done it! They are thick, flavorful, soft, and chewy! Just the way I like them! The kids love helping, and I love our time in the kitchen together! 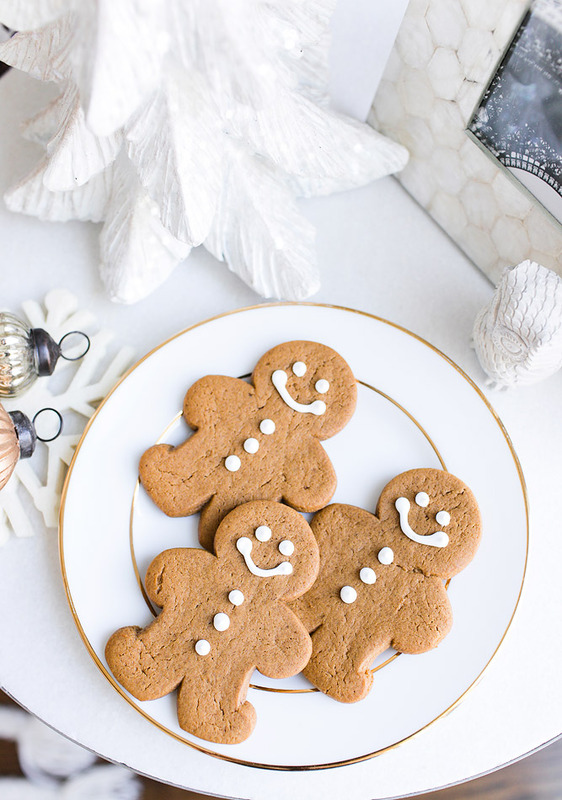 I’m excited to share my gingerbread cookie recipe with you, and I hope it becomes a tradition in your home as well! Stir together flour, brown sugar, baking soda, baking powder, cinnamon, ginger, cloves, and salt at a low speed with an electric mixer for about 30 seconds (use the paddle if it is a standing mixer). Stop the mixer and add the butter pieces; mix at a medium-low speed until the mixture looks sandy and resembles a fine meal, about 1 1/2 minutes. Reduce the speed to low, and with the mixer running, gradually add the molasses and the milk. Mix the until the dough is evenly moistened, about 20 seconds. Increase the speed to medium and mix until thoroughly combined, about 10 seconds. Preheat the oven to 350 degrees (325 for convection). Line a baking sheet with parchment paper or silpat. 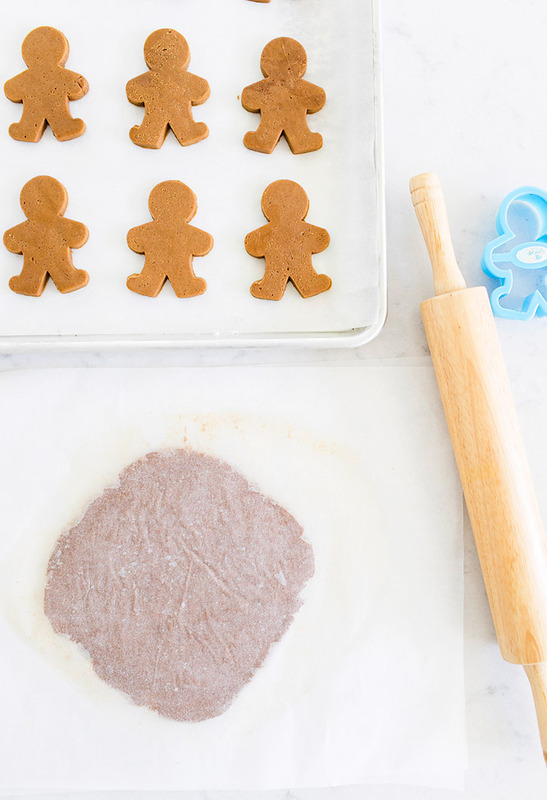 Remove one dough sheet from the freezer and place on the counter. Carefully peel of the top parchment piece only. 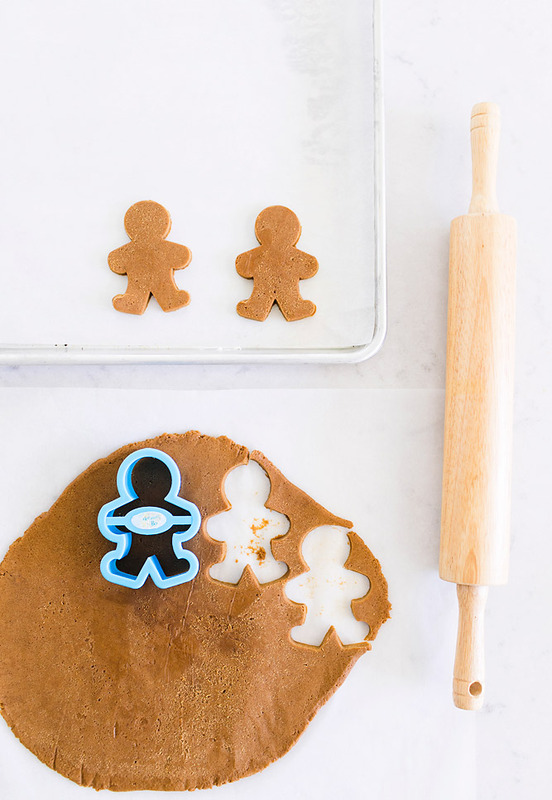 Gently cut out the dough with Gingerbread cookie cutters and place the dough onto the lined baking sheet. Space them about 3/4 inch apart. Set the scraps aside. Repeat with the remaining dough until the baking sheets are full. Gather the scraps and place between parchment sheets again, and roll out again between the parchment. You may need to chill in the freezer again before cutting out the dough. Store in a wide shallow airtight container with a sheet of parchment between each layer of cookies. These cookies are best if eaten within one week, and freeze well if you would like to keep them longer. The dough also freezes well for about two weeks. Just removed cut, and bake. Enjoy! Combine all the ingredients in the bowl of a stand mixer fitted with the whisk attachment. Mix on low speed until the sheen has disappeared, and the icing has a matte appearance (about 7 minutes). Transfer the contents to an airtight container. This is the stiffest consistency of the icing. Add a water a small amount at a time and stir by hand until it reaches the desired consistency for piping. 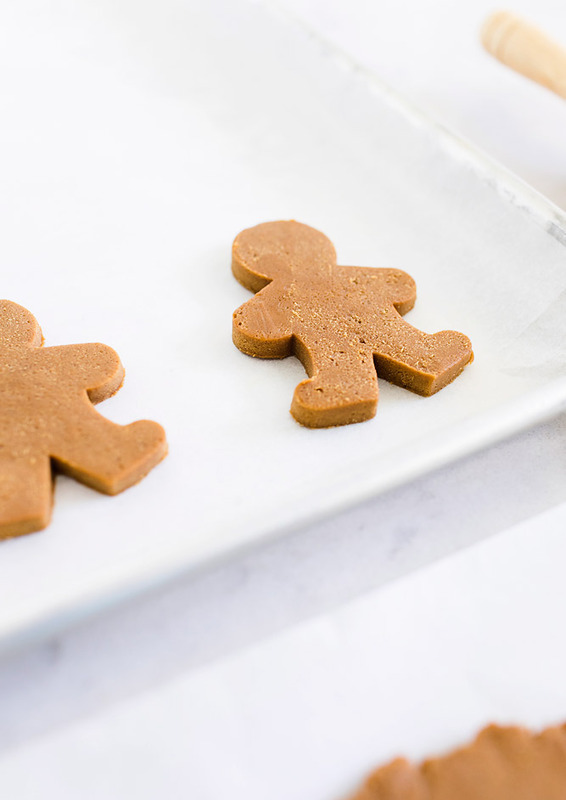 Use a piping bag with a small tip to pipe the details onto the gingerbread men. 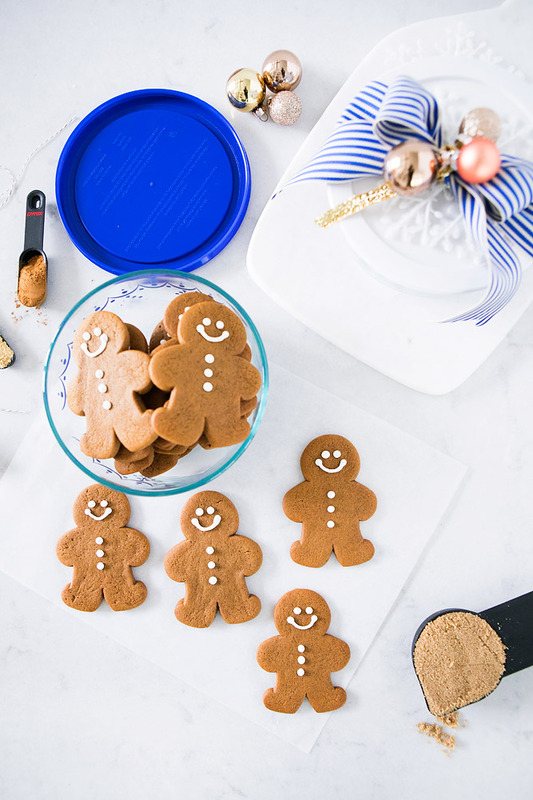 Once the icing is dry and set, store the cookies in an airtight container. I hope this helps you spread some cheer, especially to any grumpy grumps you come across along the way!